For the next few days Neptune in Pisces opposes the Sun in Virgo. We are challenged to create some kind of balance between cherished dreams and a “nose to the grindstone,” practical, but uninspired approach. This week bringing “pie in the sky” visions down to earth without diminishing their value in any significant way is possible. A less cautious approach to taking action is likely as Saturn has moved passed Mars. 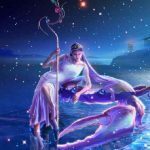 But Mars is now situated in a challenging aspect to Venus brining on all kinds of conflict, mostly inner conflict, as we second guess our desires and expectations or misdirect our gifts in ways that seem to diminish us in some way. We are becoming more aware of what our soul craves and that gives us the ability to create situations and environments that are more nourishing this week. 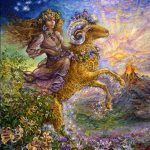 Aries may find themselves having taken on a “herculean” task that all too quickly has become overwhelming. The original inspiring vision has all but disappeared and now you may be left with the unrelenting demands of something very burdensome. You may find yourself struggling to let go and facing the prospects of being unable to finish what you’ve started. 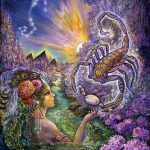 Mars, your ruling planet, in the sign of Scorpio indicates that you may be in over your head, dealing with something incredibly complicated, powerfully destructive, or veiled and confusing. If you’re attempting to keep a relationship afloat single-handedly you may have to reassess whether your relationship actually meets the definition of a relationship – equal give and take, mutual caring, and an arrangement that meets the needs of both participants. If not, acknowledge your limitations, the price you pay to protect your pride, or the willingness to sacrifice substance for appearance. The courageous act you may now be contemplating is the key to unlocking unprecedented joy and happiness. This week Saturn gives you a realistic look at the results of the misuse of power in relationships, dishonest manipulations, inflexible and overly critical approaches, and self-centered motivations. Conflict now raises your awareness to the broader implications of a lack of mutual trust and the dangers of “swimming in the swamp”. It’s time to stop baiting, or to stop taking the bait, offered in exchange for real intimacy and love. It’s time to stop indulging your relationship fears, obsessions, and compulsions. 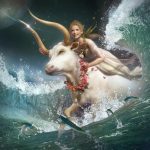 Taurus needs a strong foundation based on simple straight forwardness, love, and something rock-solid substantial versus “showy” appearances and games of intrigue. Pride is a poor replacement for courage, and the desire to win a poor substitute for mutual caring. 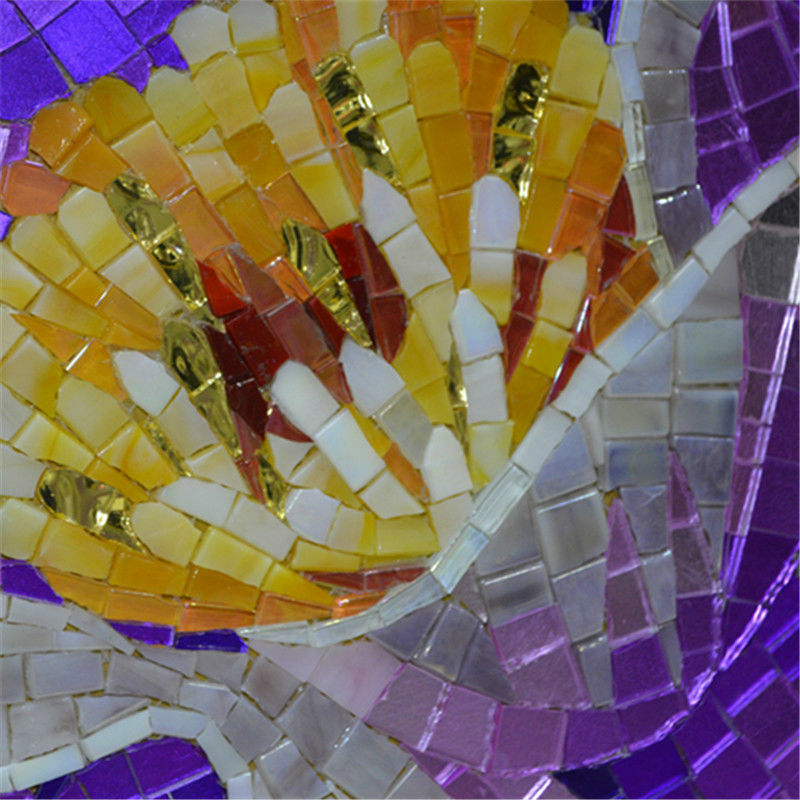 Unhappiness in the home or with family may reflect the “tangled web” nature of current relationships. It’s important to set standards for a partner regarding straight forwardness, saying what you mean, being transparent, and resisting the temptation to misuse power. It’s important to follow those standards yourself. This is a week of focusing on the past, on cups that are half empty or half full, on regret, loss, forgiveness, and moving on. While there may be some disappointment this week if desired goals are not achieved, the potential for healing and recovery remains strong. Some goals are not realistic, some require another’s cooperation for fulfillment, and some don’t serve your personal needs for spiritual growth and unfolding potential. 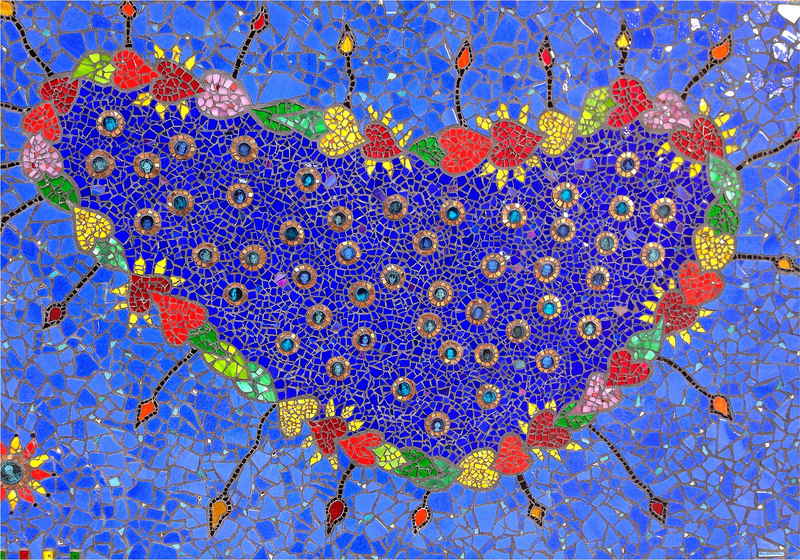 The half full cups are filled with self-esteem points for taking the courageous path, accepting responsibility, and speaking from the heart. The half empty cups are filled with regrets, disillusionment, feelings of ineffectiveness and defeat. And then there’s the transcendent realm where no cups at all exist, just an ongoing flow of compassion and love for yourself, an appreciation for the struggles you’ve endured, your human nature, your desire to make things better, your capacity to forgive, and move on. 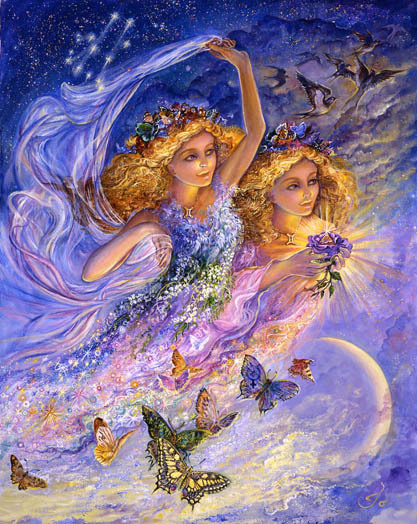 And for a Gemini, all is never lost as long as there is something to be learned that fuels new growth. This week there appears to be a struggle between sensitizing yourself to your own emotional needs and engaging with others. You may be feeling overpowered by those who feel they have a stake in your life, the decisions you make, and the directions you choose. You may feel guilty for withdrawing into yourself, selfish for failing to reassure them, and compulsively driven to nurture your connection with others rather than yourself. It’s a fine line you must walk staying open to the love that surrounds you while accessing, protecting, and nurturing deeper connections with yourself. 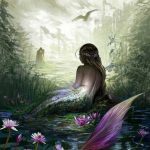 Old patterns encourage you to focus on relationship needs and appearances while skimming the surface of an emotional life that descends much deeper. Old patterns fail to nourish you in any substantial way leaving you with no effective options for feeding what’s essentially starved. It’s time to turn down the outside noise, to become better acquainted with yourself and what you need. This week it’s time to open the door to love while carefully filtering the rest. 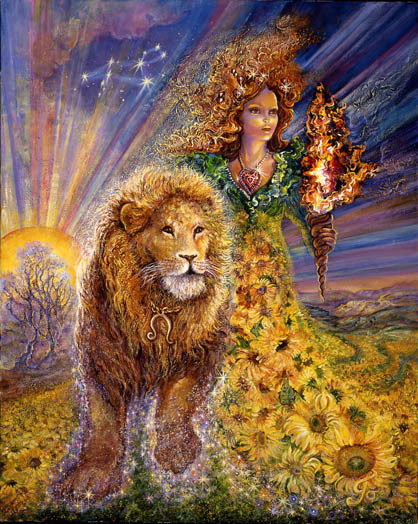 Leo’s are known for being big-hearted people, full of love and very vulnerable. This week they are all of that in spades. Emotions and emotional needs may be influencing decisions, particularly financial ones, more than usual. It seems wise to pull back from that approach some, concentrating instead on practical realities, what works, aligns with your long and short term goals, and gives you more confidence in the decisions you’re making. Underlying your heart-felt approach and influencing your decisions may be some insecurity about your commitments, your home, family, and the past. The nature of your commitments appear to be in transition. Underlying pressures and conflicts that are difficult to define. Guilt, perfectionism, and fear appear to be influencing your decisions to a greater extent than usual. The issue for you is personal integrity – doing the things that are most effective for you and align with your values and priorities. Acknowledging commitment and abandonment fears and knowing that you’ll be back to your “confident decision making self” in October may help. This week indicates some kind of struggle for independence and the need to “go it alone” as you make your own way. 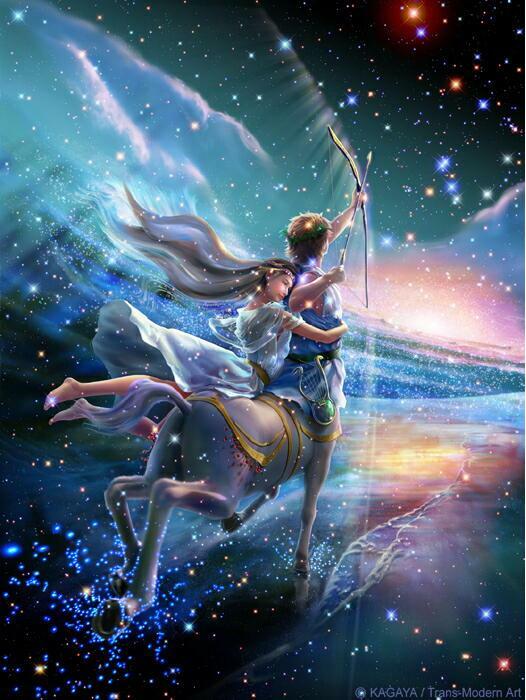 Virgo’s are bursting with energy and faced with many possibilities in terms of new directions and projects. The conflict may be some restriction or push-back from a partner, a situation that is yet unclear or hidden with undermining potential, or a lack of any encouraging feedback for your efforts thus far. 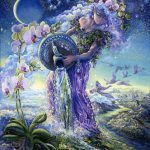 Virgo’s signature perfectionistic nature makes it difficult for you to feel comfortable with experimentation and trial and error, but it seems necessary now. You’re ok with the “trial” but not so much the “error”. There may be some false starts, adjustments that need to be made, promising directions that turn out not to be so promising. 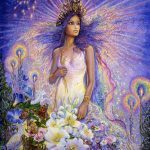 The issue is doing what it takes to become more independent, more centered in yourself, more committed to upholding your own integrity, to recognizing what you need, and ensuring an environment that nourishes and protects you. The analogy is the teenage struggle for independence. It’s a messy process, but very natural, necessary, and worthwhile. 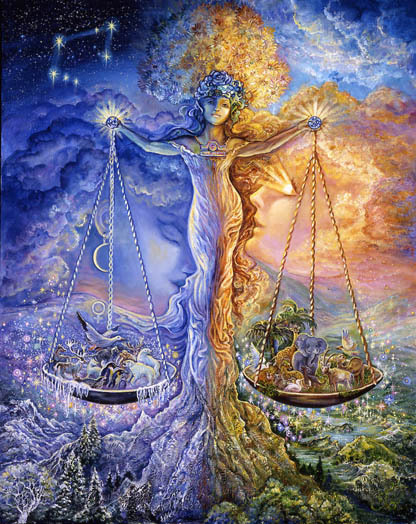 Libra may now be dealing with the aftermath of a conflict, most likely with a friend, feeling some regret possibly, and the desire to return to peace while moving away from conflict and tension. It may be time to reach out and make amends, or it may be time to realize that you can’t please everyone. 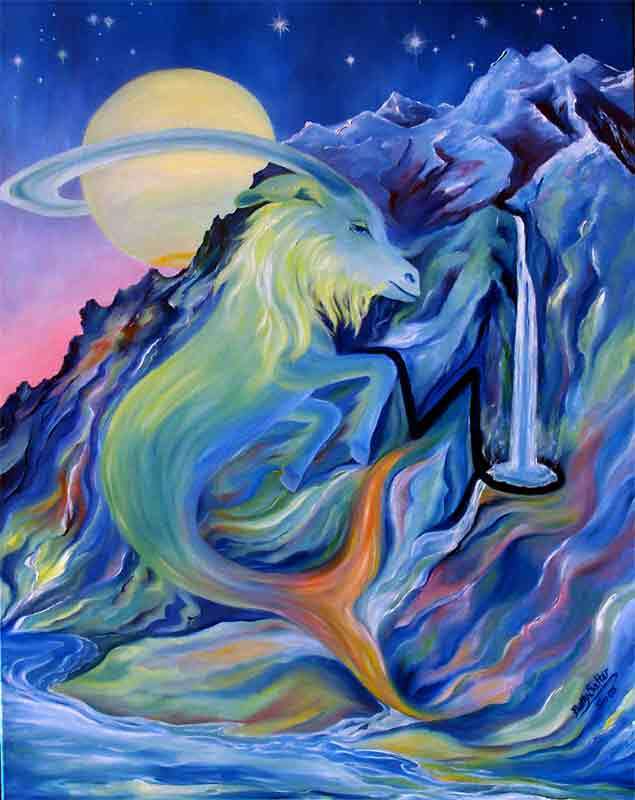 The most challenging direction for Libra, by far, is the second option. There are times when it’s necessary to disregard the opinions of others, when decisions involve being true to yourself, acting on your own knowledge, and the need to take many factors into consideration that others may not understand. 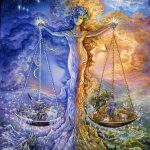 There are times when the desire for peace is eclipsed by situations that are so critically important to the integrity of the self, they transcend the need for a return to tranquility and smooth cooperation – even for Libra. 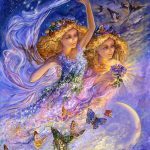 It may be time to pull back from a friendship or partnership, to accept that you cannot please everyone, and that it’s usually unwise to try. 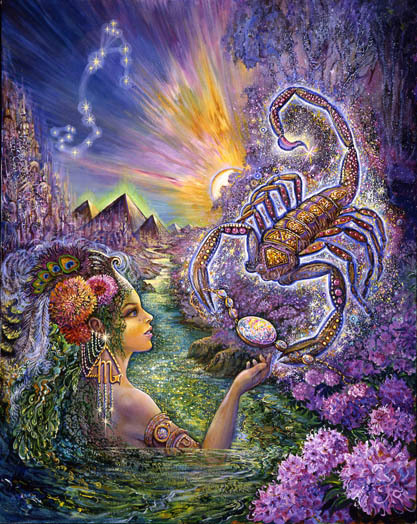 Something valuable may be lost along the way, but as long as it’s not your own integrity, it will all be ok.
Scorpio has experienced the inspiration, the engagement of the heart, and a clarification of what they feel is their commitment to the world. This week it’s time to undertake the journey, to pursue the promising options that may be manifesting, to engage the imagination and your own powerful brand of creativity to make it all a reality. 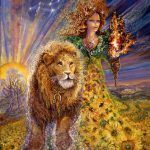 It’s time to take action as something previously urging caution has been clarified, a difficult decision made, a blockage removed, or a situation finalized. The action that needs to be undertaken may be complicated by the need to protect ego interests, positions of power, leadership, authority, and respect. 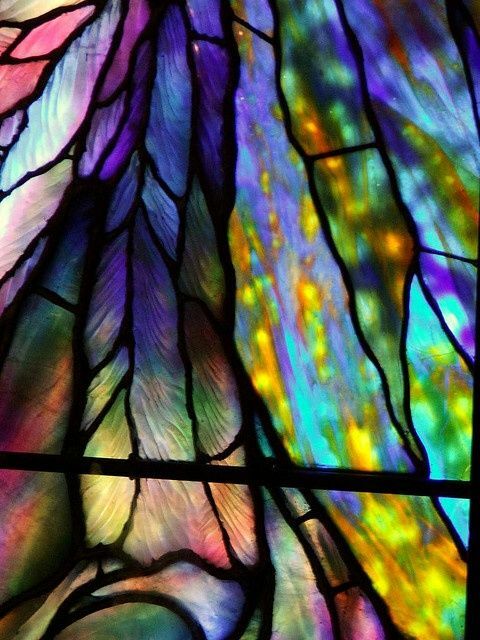 This week those needs are ripe for an enlightening transformation of some kind that frees you to “feed your soul” and to access the nourishment that will revive it. No longer do you need ego gratification to numb the pain of starvation. Starvation is no longer a necessary reality for you, though it may take some time to detach from that mindset. Fortunately you’re a Scorpio and you know how to do this. Given the current, very promising trajectory of your life, you may find it frustrating to be “not feeling it.” Lurking in the recesses of your mind is fear that prevents the warmth, enthusiasm and optimism that your current situation would seem to evoke. You may be questioning how long the good times will last, if there isn’t something unpredictable that will creep in suddenly to undermine everything, or that there has been some kind of error that’s produced your current success and that “error” is bound for a correction. This week it’s necessary to get ahold of that mindset, to spend some time in deep meditation, or to do what’s necessary to alter your consciousness in ways that reveal the truth and quash the fear. 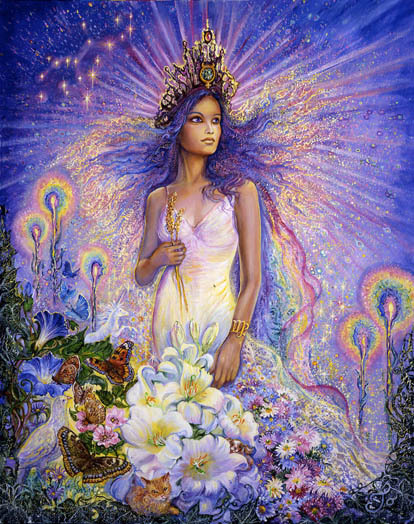 Your soul has been fed for a long time with the nourishment of fully engaging in some transformational healing process. But you’ve made lots of progress and now your soul requires something different. Maybe it has to do with an update and reconsideration of what gives your life meaning now that it’s potentially so much more enjoyable. There appears to be some kind of a mental adjustment required in the way you’re going about achieving your dreams and goals. You may be deviating some from your usual “tried and true” recipe for success, replacing it with a more chaotic, less conventional, more experimental approach. This may be causing you some anxiety, particularly during those times when you feel that you may not be making as much progress as you’d expected. It seems that you’re on the right track, though it feels unfamiliar and somewhat eccentric for your usual conventional tastes. 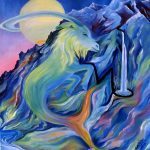 You’ve actually become more flexible, a novelty for Capricorn, responding to the needs of the situation with an enlightened approach. What you may be dealing with, on your way to success and fulfilling your dreams, is an unconventional situation defined by unpredictability, unique quandaries, and unusual opportunities. What needs to be strengthened is your confidence in the wisdom of the instincts that now direct you to apply unconventional methods to an unconventional situation. Expanding your repertoire is all good. 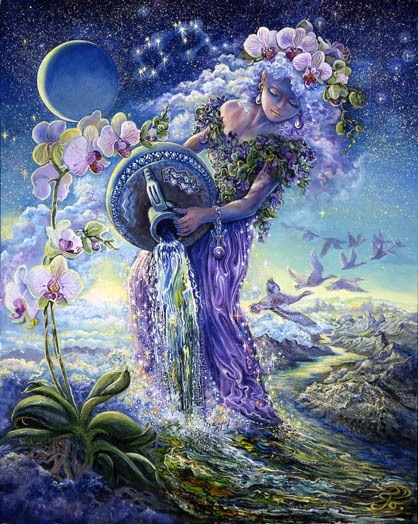 Aquarius is mentally focused in ways that ensure success. Little can stand in the way of your achievement at this time because you are now in a period of extreme mental clarity and great insight. 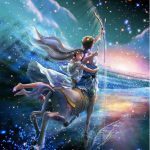 Backed by the power of a strong will, and a heart and mind on the same page, the only concern is how you will direct this expansion of your transformational power. It appears that this power is in good hands. 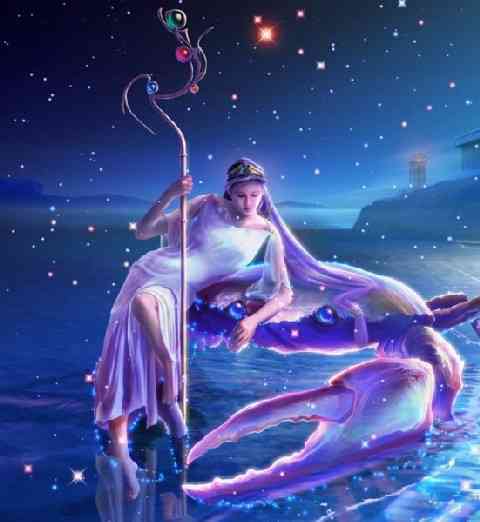 Aquarians are known for their high minded principles, socially conscious objectives, and the tendency to promote justice and fairness at every opportunity. Their humanitarian ways are well entrenched. Still the full realization of the magnitude of what you have in your possession at this time is cause for a pause. Is it possible to integrate something more into your current activities to better serve the greater good? Is it possible to enlarge the scope of your dreams, to direct your power toward moving the masses in a more enlightened direction, or to use your skills to enhance the goals of a group whose cause you deeply believe in? It’s worth considering this week. 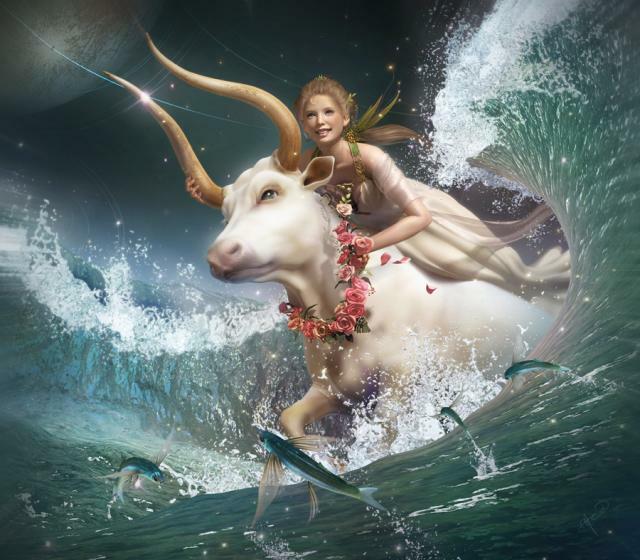 For Pisces there appears to be an issue of a lack of cooperation and teamwork, an intensification of conflict, or general inhospitable conditions in your current workplace that prevent you from realizing your personal goals and contributing your skills in ways that feel satisfying. Your mission or beliefs may not be represented by your co-workers and the values represented by your current place of employment may be blocking you in some way. It’s time for a change as your soul is starved for appreciation of what you’re able to contribute, the feeling of being valued for your knowledge and skills, the opportunity to grow and advance, to feel useful, or valued as an important part of some team effort. This week it may be time to make a move to a more inspiring place where you can direct your energy, full throttle, into something you believe in – supported by a friendlier environment. It may be necessary first to disengage from a mindset that keeps telling you “this is as good as it gets.” It’s not and opportunities flow as soon as you change that perspective.